Somehow, I've managed to finish two books in the last few days, despite visits from family, buying a new car, and all the other day to day responsibilities. 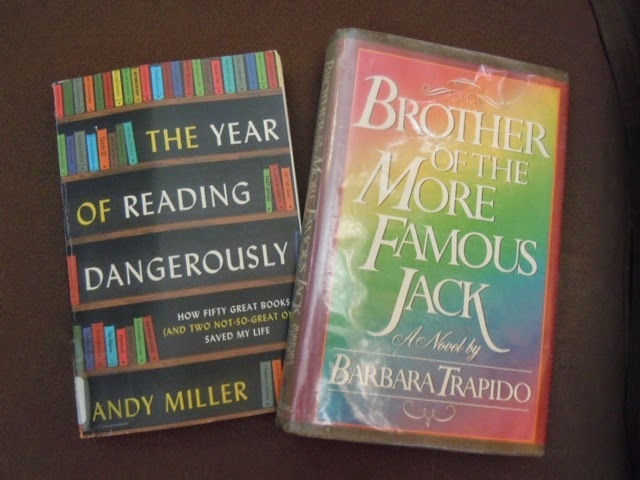 It took about a week to read The Year of Reading Dangerously and two days to read Brother of the More Famous Jack. It helped that my husband Jack went to Connecticut yesterday to meet up with some sailing buddies, leaving me alone to read for most of the day. I read about The Year of Reading Dangerously, by Andy Miller, on someone else's blog. I should write down where I hear about or read about books so I can give the person credit. Thank you person I've forgotten! I don't know why I like to read about other people reading. Maybe to see how they fit reading into their lives and how much they read. Andy Miller read from the time he was a child, but marriage, a job, and his own son had seriously cut into his and his wife's reading time. He picks a dozen books he'd like to read and he gives himself a year to read them. Instead of frittering away his commuting time on the train, he reads. It takes him a while to get back into the habit and rhythm of reading, but soon he's back in the saddle. He intersperses his thoughts on the books with anecdotes about his home life, his work life, his social life, book clubs, and his childhood. He adds to his list after he's finished with the first dozen. He and his wife read War and Peace together and she declares it the only book necessary. I read it back in the early 1970s and enjoyed it, but I don't remember much about it. Maybe it's time for a re-read. I heard about Brother of the More Famous Jack, by Barbara Trapido, on First Tuesday Book Club, a podcast of a book show from Australia. I love this podcast, I love the regular panelists, Jason Steger and Marieke Hardy, and the host, Jennifer Byrne. They discussed Brother on the last podcast and were so enthusiastic about it that I ordered it from my library. It was published in 1982 and is only 218 pages long. The book is narrated by Katherine Browne, a young English woman attending college. She becomes friends with her philosophy professor and his Bohemian family, the Goldmans. There's Jacob, the professor, who escaped Germany during or just before World War II, his beautiful but continuously pregnant wife Jane, who spends her time gardening, playing the piano, and ordering her children about. The house is filthy. Roger is the gorgeous elder son who falls in love with Katherine and she with him. But the course of true love ... Then there is Jonathan, the younger brother, and a bunch of littler kids. Katherine moves to Rome to teach English, has a long affair, and returns to England, where she reunites with the family. I don't want to spoil any of it. It's not full of twists and turns or surprises and earth shattering events, it's just life. But it's an interesting trip to take with Katherine and the Goldmans. If I've made any mistakes in any of this, I'm blaming my cat Turtle. I'm trying to write these two books up before leaving in a few minutes to return them to the library (and pick up another book). She's been on the bed all day, but from a floor and several rooms away, her feline ESP told her that I had finally sat down and was in a hurry to write something. So she quickly moved downstairs to my lap - which is also where my appropriately named lap top is. Cat or lap top, which is more important? Cat, of course. Was parked beside the road. I told myself I wouldn't look. If there are animals in the trailer. Pushed through the gaps in the trailer. Taking a last breath of fresh air. Okay, I've already spent more time trying to move a photo of the book jacket to this site than I spent reading the book. I read this on my Kindle and there's no point in taking a photo of the jacket reproduced in black and white on my very basic but satisfactory Kindle. Les Blatt over at Classic Mysteries wrote a review of this book a short time ago. It's not a classic mystery in the sense of having been written in the Golden Age of Mysteries, but it follows the classic mystery formula. It's a new mystery, a bit breezy at times, but it moves along at a nice pace and is set mostly in the dramatic and atmospheric Highlands of Scotland. Jaya Jones is a graduate student in California, studying trade routes and the British East India Company. She's of Indian descent but has lived in the US most of her life. Her best friend is Sanjay, a magician (The Hindi Houdini) and bad sitar player. She plays tabla and they often play together at a local Indian restaurant. Jaya receives a package from Rupert Chadwick, her short, dark, and handsome ex-boyfriend, a British archeologist. It contains a large, old gold and ruby piece of jewelry. Odd, because she's just read a newspaper article about Rupert's death in a car accident in the UK. There's a note asking her to keep it for him, to call him, and telling her that she's the only one he can trust. But she can't reach him. She takes a photo of the bracelet to a professor at her college to see if he can identify it, but he brushes her off to another graduate student, the tall, blond, and handsome Lane Peters. He's interested in the jewelry and says he'll try to help identify it by looking for it in Indian art. They eventually go to Scotland together to see what they can find out at the dig where they think Rupert found it. They want to find out what a valuable old piece of Indian jewelry is doing in Scotland. And to find out if Rupert's accident was really an accident. There are several twists and surprises before all is revealed. Jaya is a bit goofy at times. She seems devoted to wearing high heels, probably because she's barely 5' tall. They're often the wrong shoes for the wrong place - like climbing down a cliff. There's a lot about Scottish legend and Indian history mixed in with a nice mystery and some nail biting chases and escapes. I wish these were from my garden, but they're from Trader Joe's. 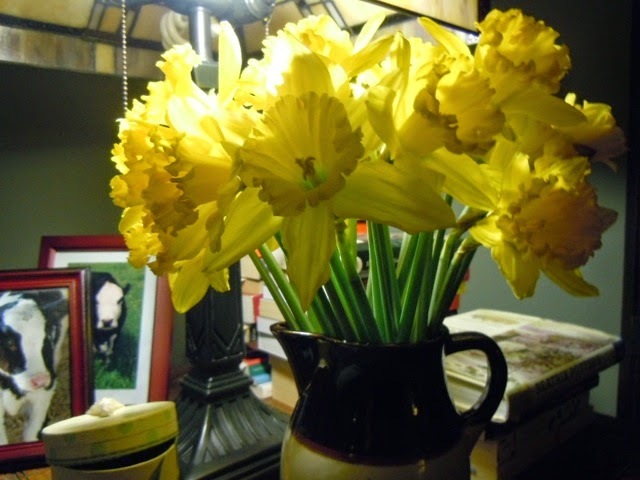 They were not only bright and cheery, they were fragrant. But I did this book a complete disservice. It was my paperback bathtub book. I read it in small bits while soaking in a bubble bath, so it took me several months to read. I am a clean person, but there are limits to how much time I can stay in the tub. Or how often I can use bathing as an excuse for reading. I sometimes take my 'bathtub book' out of the bathroom, but I was having trouble getting interested in this one. Finally, I decided I needed to fish or cut bait and I took the book out of the bathroom and into the living room (and bedroom). It turned out to be a cracking good read. A young woman goes to the north of England and is spotted by a young man, Con, who mistakes her for his cousin Annabelle. Annabelle disappeared mysteriously and completely eight years before. Everyone assumes she's dead. Except her grandfather, who is ill and is still hoping she'll reappear. Con (an appropriate name for him) convinces her to pretend to be Annabelle in order to inherit her grandfather's farm and money. Con is in the will, too, but is afraid that the old man will leave most of the assets to the old man's younger grand-daughter Julie. So Mary Grey, well schooled in the details of Annabelle's life by Con and his sister Lisa, assumes the role. She does the job very well - until she runs into Annabelle's former lover. The last fifty pages are what make it a cracking good read. There's a storm, a few storm related accidents, a young stallion, a sort of raging river, and a final twist. And a haymow full of kittens. What more could you ask? Stewart's writing is very good. Her attention to detail is spot on. As a former rider, I was impressed that all the details about horses and riding were absolutely right. She knew horses. Her descriptions of landscapes and table settings and buildings are fabulous. I could smell the flowers and hear the raindrops. Now I'm eager to read her other three novels waiting on my TBR stack. I will, however, give these my undivided attention. 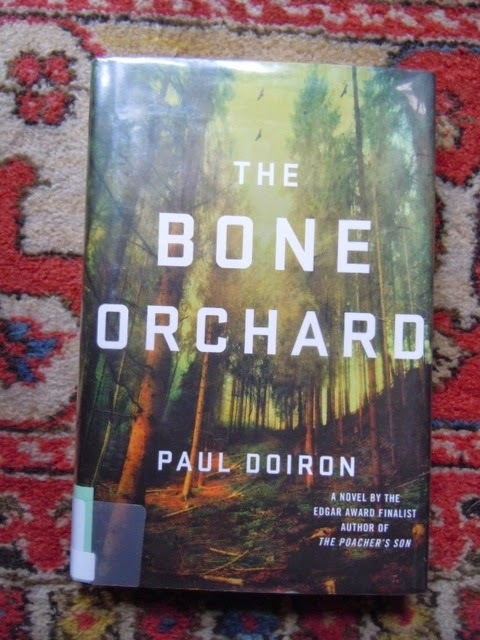 I recently reviewed the previous book in this series and decided that I had had about enough of the protagonist, Aimee Leduc. She now has a 6-month-old daughter, Chloe, who hasn't slowed Aimee down much at all. She's still climbing over walls, racing around on her scooter, and putting herself in jeopardy. The baby's father, Aimee's ex-sometimes-boyfriend, shows up with his new wife to claim shared custody of his daughter. Aimee is freaked out, but she also questions whether Chloe would be better off living a safe life in the country. Most of her time with Aimee in Paris is spent in child care. Aimee is still trying to find out who was responsible for her father's death, killed in an explosion ten years ago. A young Gypsy boy tells her that his mother, Drina, is dying and wants to talk to Aimee about her father's death before she dies. She promised Aimee's father that she would tell Aimee the truth. Aimee goes to the hospital but the woman is missing. Aimee finds her and hears her last words. But they're puzzling, something about Tesla and Fifi, and some is in the Romany language. She enlists some of her father's old friends to find out what happened. Over the years since her father's death, they've been family to her. A cover up was involved, but who was involved in the cover up? Who are Tesla and Fifi? 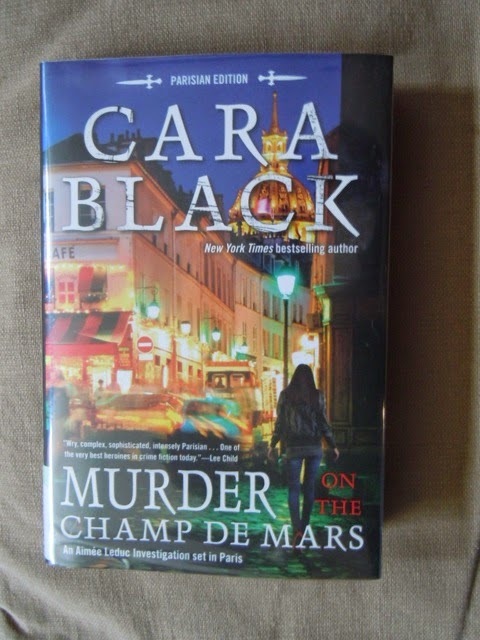 Murder on the Champ de Mars moves along at a nice pace. I thought it was more interesting and better plotted than some of the others in the series. There are parts where I couldn't stop reading. I think I'll suspend my decision to stop reading about Aimee Leduc and see if I like the next one. A cow, a pig, and a turkey walk onto a plane .... I guess this book would be classified as absurdist humor. Elsie is a dairy cow. One night, through the farmer's window, she watches a documentary about factory farming. Elsie always thought her mother abandoned her, but she discovers what really happened to her mother and what her fate will be. She also sees a program on the holy cows of India and decides to go there, where she'll be safe. Word gets around on the farm. Jerry the pig wants to leave the farm, too. He wants to go to Israel, where they don't eat pigs. Tom the turkey, who's starved himself in the hope that he won't be slaughtered in November, wants to go to Turkey. He thinks they must respect turkeys there if they named their country after them. Working together, they buy on-line airline tickets, steal clothing for disguises, and get on the plane. But none of the places they hope will be safe havens are what they had hoped. Israelis may not eat pork, but they also see pigs as unclean. Jerry (who has asked to be called Shalom) and his friends have rocks thrown at them. They briefly induce peace in the middle east when the Arabs and the Israelis join in mutual hatred of pigs. Tom finds that, as a flightless modern turkey bred for meat, flying in an airplane is ecstasy. He steals a plane and flies Elsie and Jerry around for further adventures. You may not believe this, but I can't remember how this book ends. And I only finished reading it on Sunday. That means that I was totally unconscious when I finished the book or that it had a weak ending. The book dwells lightly and briefly on the awful things that are routinely done to farm animals, suggests in a humorous way that animals are not unaware of their suffering or the suffering of other animals, and asks readers to respect animals and, perhaps, to think twice before eating one of them. 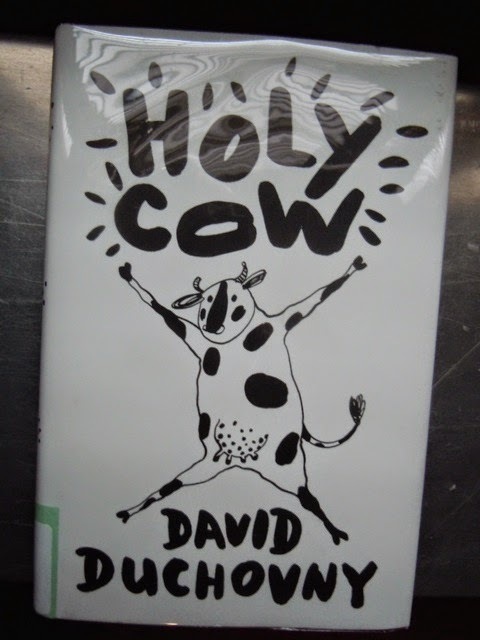 The author, David Duchovny, a well-known actor, is a vegetarian most of the time, according to a recent interview I read. He says that he doesn't eat meat unless he goes to someone's house and they serve it. He thinks it's wrong to waste an animal's life, so he eats it. It's not clear to me if he cares that much about animals or if his focus is on the environmental degradation of factory farms (from which come 99% of all meat). As an ethical vegan, who appreciates that not eating meat is also healthier for me and for the planet, I take this more seriously, so I had some trouble with the book. To me, lamb chops, baby back ribs, or veal are just as horrifyingly repulsive as a nicely roasted human baby. Maybe this sort of soft approach is more palatable for the general public. If any readers side with the animals and stop eating meat, then, thank you Mr. Duchovny. 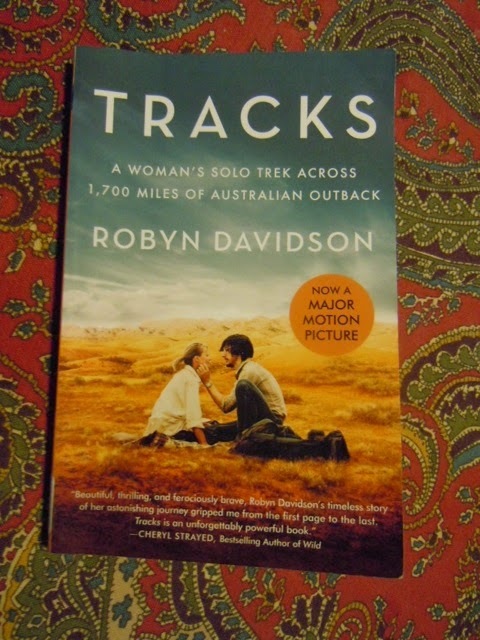 Tracks is like Wild, by Cheryl Strayed, except that Robyn Davidson trekked across the Australian desert with her dog, Diggity, and three camels. She also went on her trip about fifteen years before Strayed walked the Pacific Crest Trail. Davidson had strong opinions about feminism, the poor treatment of Aboriginal Australians, and 'typical' Australian men, who she thought were sexist clods who were always drunk and peeing in inappropriate places. That may have changed in the thirty-five years since this book was published. (The copy I read was a recently published tie-in to the movie Tracks, which was out last year and is now available on AppleTV.) Davidson finds herself straddling a line between being a white woman and socializing with Aboriginals. Sometimes they accepted her and sometimes they didn't. A respected elderly Aboriginal man traveled with her for part of her journey. The author accepted a sponsorship from National Geographic magazine. They sent a photographer, Rick Smolans, to meet her at various points during her trek. First, she didn't want him there, didn't want him upsetting the Aboriginals by photographing them, and didn't want him on what she had hoped would be a solitary trip. But they became friends in the end. I wish some of those thousands of photos were in the book. The edition I read had none. Not one. I did a quick Internet search and found some photos, but I'd like to see the National Geographic article and photos. The descriptions of the Australian desert were tantalizing - especially since there were no photos! Tracks and Wild are similar in many ways, but I thought Wild was more compelling and moved at a faster pace. Both women were walking, but Strayed kept walking. Davidson stops for days or weeks at a time when her camels are injured or sick, or when she needs a break. There's a rhythm to the desert that I don't think I picked up. Until recently, my reading momentum was stalled. I read almost nothing over the holidays and couldn't get back into a rhythm in January or February. I was reading a little, but I wasn't finishing much. I kept jumping from one book to another. Now, I think I'm back on track, more focused. It might help that I've been reading mostly library books. You MUST read those first because you're under a deadline. So here's what I've finished in the last week, all library books. 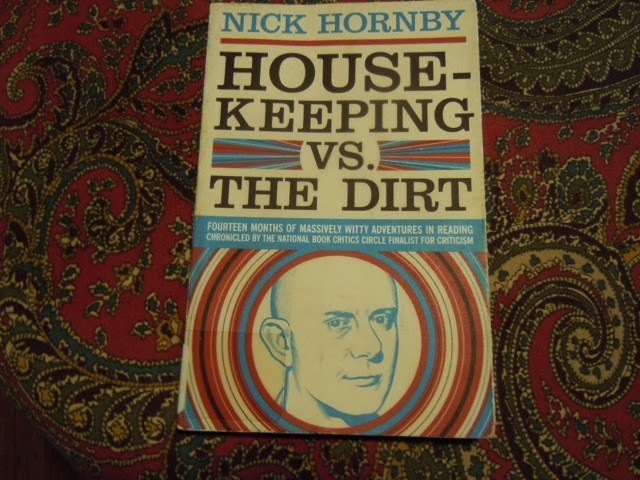 A book blogger mentioned reading one of Nick Hornby's collections of the columns he wrote for Believe magazine, thereby reminding me that I had read More Baths, Less Talking and would probably enjoy reading another. His essays on books and reading seemed like just the thing. I could finish them in a reasonable amount of time and they don't require sustained attention. I borrowed Housekeeping vs. The Dirt from the library and dove in. Just the trick. The chapters are usually only a few pages long and begin with a list of books he's bought during the month and a list of books he's read. The lists don't correspond to each other. We all buy more books than we can possibly read, don't we? And we often buy books but put off reading them until later. Or never. I'm not going to go into the books he's read and written about. He's an eclectic reader, so there's something for everyone. Hornby's essays are personal and amusing. I found myself smiling and nodding my head in agreement. We readers have many things in common. If you need a book to nudge you out of a reading slump, you might want to try one of Hornby's collections of reviews. 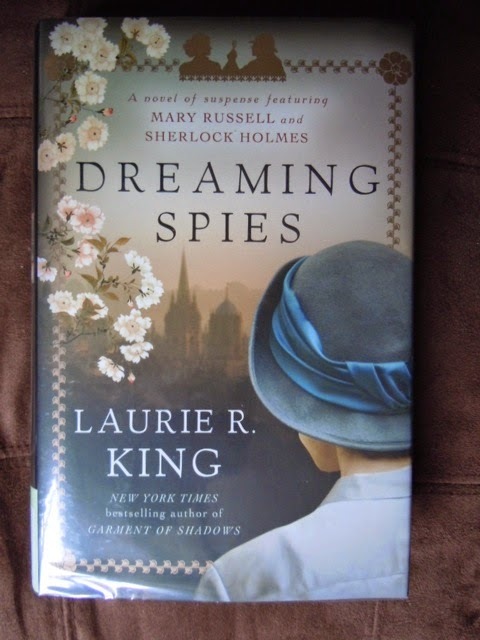 Next up is the latest in Laurie R. King's Mary Russell / Sherlock Holmes series. It's a sort of prequel. Russell and Holmes return to their home to find that a rock etched with a chrysanthemum has been artistically placed in their garden. It can only have come from friends they made in Japan. Dreaming Spies (a play on Matthew Arnold's name for Oxford, England, 'dreaming spires') finds Russell and Holmes taking a cruise from an adventure in India to San Francisco and then on to England. On the ship, they meet Lord Darley, his much younger second wife, and his son. Holmes suspects that Darley the elder is a sometimes blackmailer, something that he abhors. They also meet an interesting young Japanese woman, Haruki. She tells Mary that she and her family are acrobats. They are, but they are much more than that. Haruki recruits Russell and Holmes to help her recover a book that was accidentally given to the English royal family. The book contains a secret that is being used to blackmail the Japanese royal family. Haruki teaches Russell and Holmes the intricacies of Japanese customs. There is a lot of detail about clothing, tea, Japanese baths, and food. There is haiku and Basho, a famed poet who travelled all over Japan. All that was interesting. Things come to an exciting finish back in England, at the Darley estate. 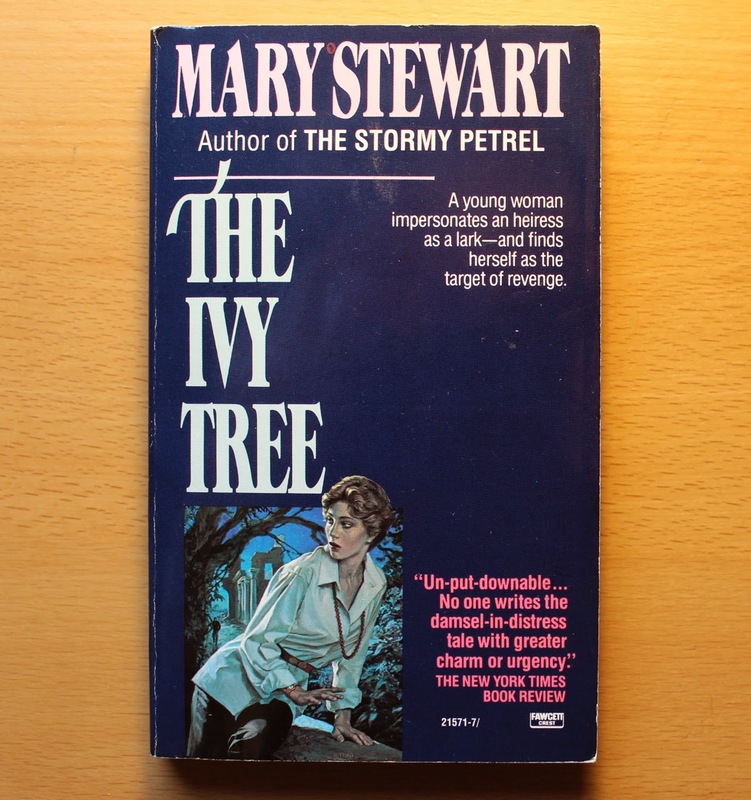 I like the Mary Russell series, but I liked the earlier books better. Unless my memory deceives me, they were more exciting. These later books seem to get bogged down in the details of places and often take a while to get exciting. Details add much, but too many details seems like a tutorial, not a mystery. Dreaming Spies was better than some of the recent books. Now this is a cracking good read. I'm always amused that this series of mysteries about a Maine Game Warden was introduced to me by Elaine, who lives in England. I lived in New England most of my life and still own land in Maine. But, thanks, Elaine for the tip. I love this series, partly because I've been to many of the places mentioned in the book, partly because it's fast paced and exciting. Mike Bowditch was a Maine Game Warden, but has resigned to live a less political life as a Maine hunting and fishing guide. Unfortunately, he can't stay out of trouble. Kathy Frost, Mike's former Game Warden mentor, and her new partner, Danielle Tate, shoot and kill a veteran of the Afghanistan war. He had been horribly injured by an IED and had been scarred physically and mentally. His mother calls to report that he's in the barn with a shotgun and she thinks he's going to hurt himself. The wardens shoot him in self-defense. Mike goes to visit Kathy and both of them are shot, she critically. Even though he's no longer in law enforcement, he has to find out who shot her. His search leads him through Portland and Camden and up into the Maine woods. He butts heads with the game wardens and the police. He takes a couple of wrong turns and saves a life along the way. There are a few women who distract him, too. But Mike gets his man. I read this in two days. It was hard to put down, pulling me along faster and faster. The action starts right at the beginning and is sustained throughout the book.